It can be hard to manage your debt and expenses on your own, don’t even get me started on budgeting. However, who says you have to do it all yourself? 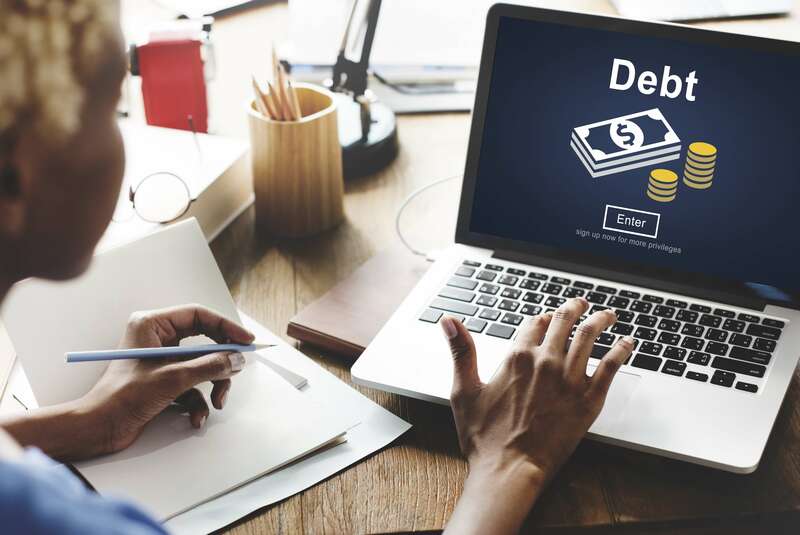 Fortunately, there are plenty of online tools you can take advantage of to help you manage your debt, expenses while helping you reach your financial goals. Although there are plenty of online budget tools available to users, Mint is one of the most user-friendly ones out there. Also, it’s completely free! Not only can you create your own budget, but you can also sync your bank accounts to keep track of your money and see where it’s going. You can also set specific email alerts if you go over your set budget. Also, feel free to link your credit cards, investments, and loans to view your cash flow and remaining debt, which can be essential for students. If you’re worried about connecting third-party apps to your bank accounts, BudgetPulse is here to help. This helpful online app can help you track your spending and create goals, all without handing over your bank usernames or passwords. Not to mention, they also offer charts and graphs to help you visualize where your money is going. You can also set financial goals that you can share with your family and friends. Are you looking for new ways to pay off your debt? Fortunately, Unbury.me is here to help you calculate your payment by either the snowball or avalanche method. All you have to do is input the numbers, such as your minimum payment, balance, and interest rate to project how long it will take until you’re debt free. You can even create a free account to save your information for next time and keep track of how you’re doing on repaying your debt. LearnVest is truly an all-in-one financial website. This tool helps its users to learn about personal finance, organize their finances, and get the help they need. It offers tools, classes, articles, and expert advice to help you to achieve your goals. This website will help you gain the knowledge you need in order to be debt free and financially wise. One of the best features they offer is the personal finance bootcamp. This is designed to help young people to build a budget, learn about investing, get helpful tax tips, and more. It can also help those who are serious financial trouble get better. This calculator can help you to find your path to becoming debt-free. To use the CNN/Money debt calculator, simply enter in how much you owe, interest rate, and typical monthly payment. The calculator then predicts the month and year that you will be debt free. It can also tell you how much you will have paid in interest by that time. Before you can change your money habits, you must first determine where your money is going. Moneytrackin’ is just the tool to help with that. It helps you to see where your cash is going to by tracking and dividing expenses. You can also create shared budgets for your family. Moneytrackin’ also offers accounting tools for small businesses, too. This easy to use tool will help you create a budget without having to link to your personal financial accounts. The Birdy sends out daily emails asking you what you spent. Then, all you need to do is reply with the amount you spent and what you spent it on. This will update your account. You can view your weekly and monthly expenses and charts of your spending habits by logging onto the website. SavvyMoney is a great tool for those who want to speed up their saving and actively pay down debt. With this tool, you begin by deepening your understanding of your present financial situation. Then, the site will help you develop a debt repayment plan that you can actually follow. This website tracks your progress and helps you to stay motivated with your finances. They also offer tips and tricks on how to pay down debts even faster. If you have a few credit card debts that you need to pay down, you should consider consolidating your debts. To determine how much you can save when consolidating debts, use the Discover Debt Consolidation Calculator. This calculator lets you enter up to seven credit card or store card debts that you would like to consolidate into a personal loan. All you need to do is enter the current balance, interest rate, and your monthly payment to determine how much interest you would ordinarily pay and how long it would take. Then, you can see how much less you would end up paying if you consolidated your debts. Note that all of these numbers are just estimates. If getting a new credit card is part of your plan for managing your expenses and finances but you are not sure where to begin, NerdWallet is your answer. This website allows you to search and compare thousands of credit cards so you can find the best one. No matter if you are looking for low-interest rates, rewards, bad credit, or cash back deals, this site can help. You can even narrow listings based on your credit score which will help you find cards that you can qualify for. NerdWallet is also chock full of helpful articles that can offer advice on everything to do with personal finance.